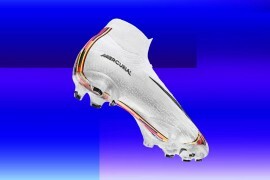 This week adidas officially launched the new Scotland Away Kit 2010-2011. 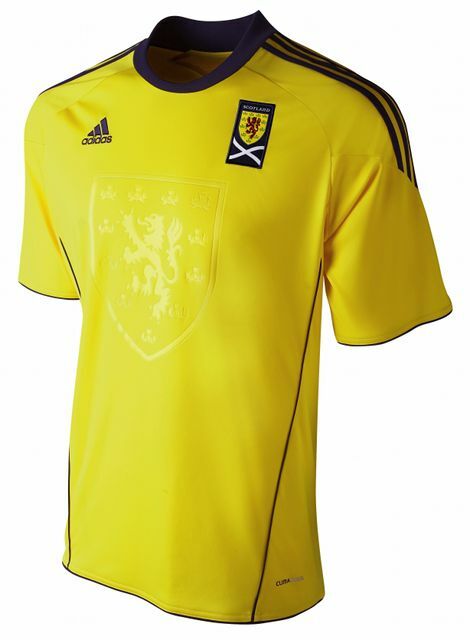 Utilising the same classy watermark as the Scotland Home Kit 2010-2011, the away shirt uses a similar template to marry a bright yellow main colour, with the traditional St Andrew’s Navy Blue. 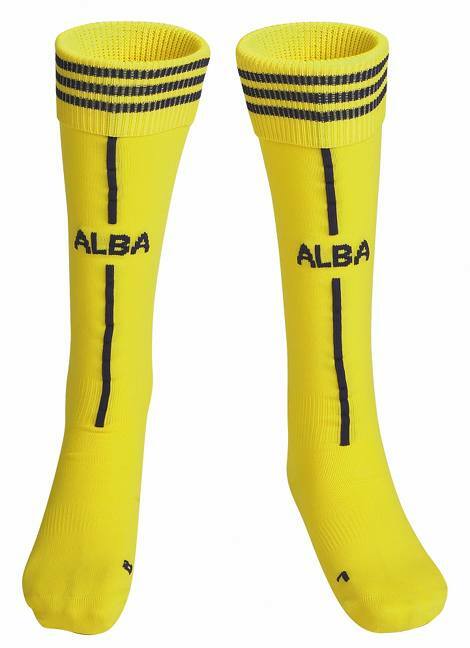 As with the Scotland Home Kit 2010-2011, the Scotland Away Kit 2010-2011 features the ‘ALBA’ motto on the socks, as a form of inspiration for the players as they pull them on before taking the field! 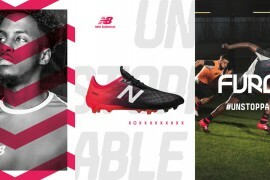 adidas recently confirmed their commitment to Scottish football by becoming the official sponsor and sportswear supplier for the Scottish FA. 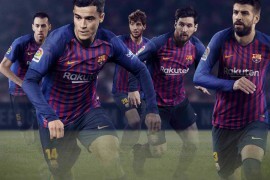 The partnership has already spawned a hugely successful launch of the new home kit and the new sun-coloured jersey will be worn in Stockholm next month in the International Challenge Match against Sweden, a nation famed for its own yellow kit. This probably means that we can expect Sweden & Umbro to launch a new away kit in time for this game as well! 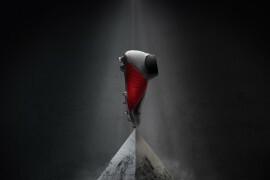 The new bespoke adidas kit, which has been designed utitlising the most up to date performance technology, will be the official away kit throughout Scotland’s UEFA Euro 2012 qualification campaign and will be worn at every level of international competition both in the men˘ and women˘ game. 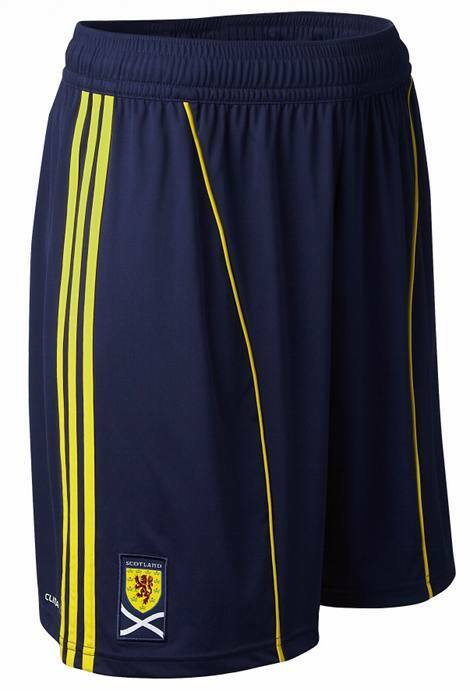 Interestingly, adidas have confirmed that the Scotland Away Kit 2010-2011 will be available in a TechFit version – as soon as an image is available, we’ll give you an update! 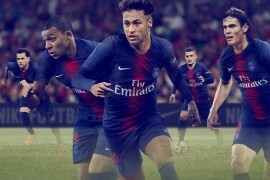 Next articleFROM THE SOLE: TOO DESCREET TO BE ELITE?